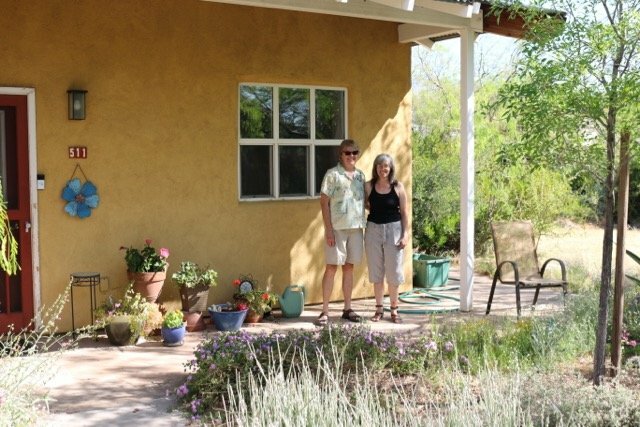 Last weekend my husband Thom and I drove to Tucson, AZ to visit three thriving cohousing communities. As I wrote about in January, even though the concept of cohousing is still relatively young, it’s appeal is growing as others discover the benefits. 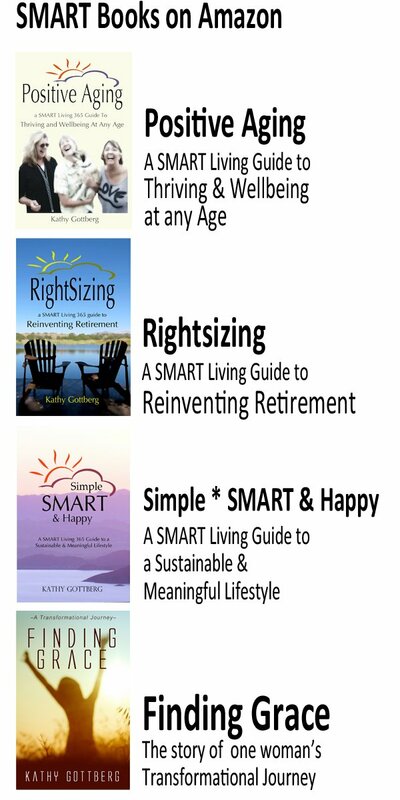 Ever since I first heard about them, I recognized how many ways they mimic the advantages I find from rightsizing. After touring all three facilities, it is also evident that they embrace the core values of SMART*. Is cohousing a wave of the future? It likely depends on whether you value community, and if you see them as a path to living your values. 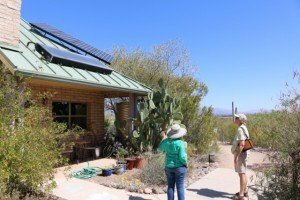 Tucson is unique because they have three cohousing communities within their city limits that have existed for over ten years. Fortunately for us, Tucson is only a six to seven hour drive from where I live in Southern California. Each of the three communities has a website and contact information, so it wasn’t difficult to arrange tours with enough notice. 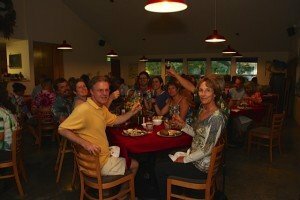 Is there a cohousing community near you? 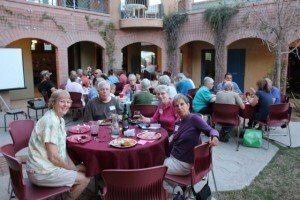 The best way to find out is to go to the website: cohousing.org where they have an extensive list of all existing and forming cohousing communities in the U.S. The organization is also planning a nationwide “open-house” on April 30, 2016 with more information on their website. people walk to-and-from their front doors. Even better, it creates friendly spaces for people to wave or connect with their neighbors as they come and go. After living in a large suburban home for many years, I can attest to how easy it is to drive into a three-car garage without a word or even eye-contact with your neighbors. That’s just not possible in a cohousing community—and that’s the point. One of the “villages” with separate gathering area. The 48 residences at Stone Curves are clustered into five “villages” built around a central courtyard area with a table and chairs under a variety of different canopies. 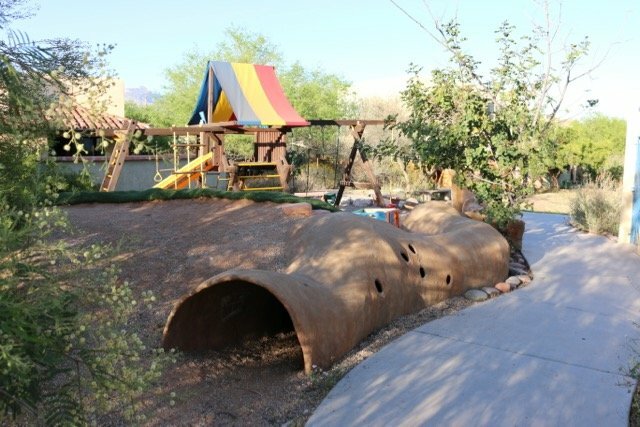 Each “village” features a different personality, plants, and artist touches designed and maintained by the residents of that village. Stone Curves is multigenerational with floorplans ranging from one bedroom-one bath homes for singles, to up to four bedrooms for families. 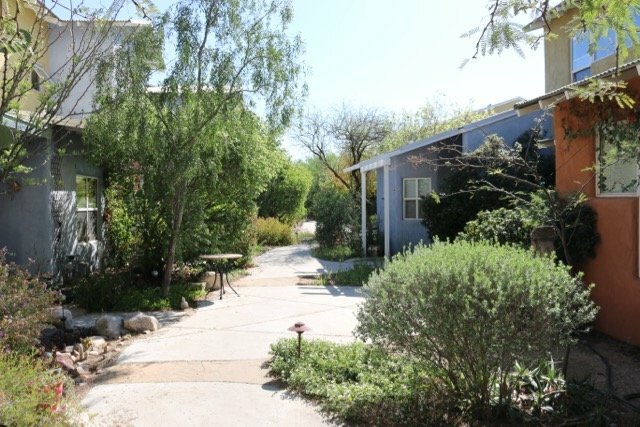 Another thing that makes cohousing communities unique is the intention to sacrifice large square footages within the homes in order to make both the space and the resources to build and maintain common space and facilities with others. 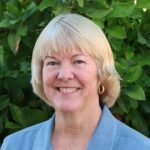 In other words, cohousing promotes sharing resources to benefit everyone. Stone Curves has a 3,850 square foot Common House built around an open courtyard. In the Common House, there is a big kitchen with commercial grade appliances, a dining room with seating for up to 100 people, a laundry room, three guest bedrooms, a library, living room, children’s room, exercise and yoga room, and more. Beyond the Common House is a swimming pool and Jacuzzi, an 800 square foot workshop, outdoor barbecue area, children’s playground, a community garden, a dog run, a chicken coop and yard, and a large open space lawn for games, picnics and outdoor movies. 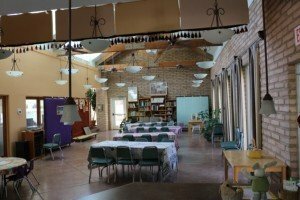 Of course, other housing developments and condo projects may contain some of these amenities, but what makes cohousing properties even more unique is that they are self-managed and maintained. At Stone Curves, every adult resident is expected to volunteer to do a task of his or her choosing. For example, I asked about an art room for residents and was told that a previous resident offered all sorts of art classes and projects, but when that resident moved, the benefit dropped away until someone else takes up the offering. Another clearly visible distinction was a design embracing the natural environment. Like most cohousing communities, the Stone Curves community aims to live sustainably and in harmony with nature. Using low-water plants and landscaping, indigenous fruit trees, a permaculture design, composting and rain-water capture and cisterns for irrigation, they strive to live lightly on the planet. Our second tour was the nearby Sonora Cohousing Community. 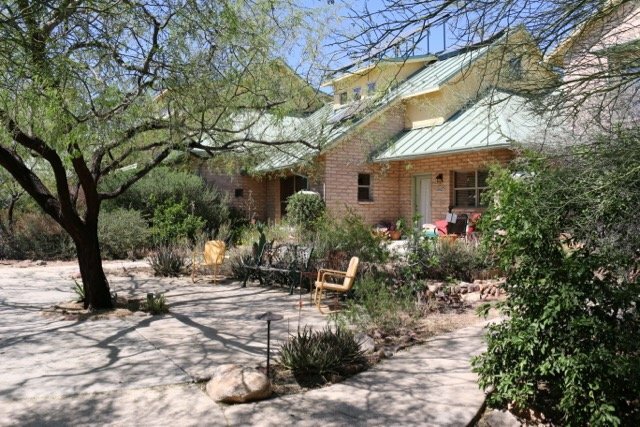 Sonora was the first project in Tucson built in 2000 and contains 36 homes on 4.8 acres. At Sonora a resident named Martha strolled proudly through her community sharing details about how she helped to create the property. 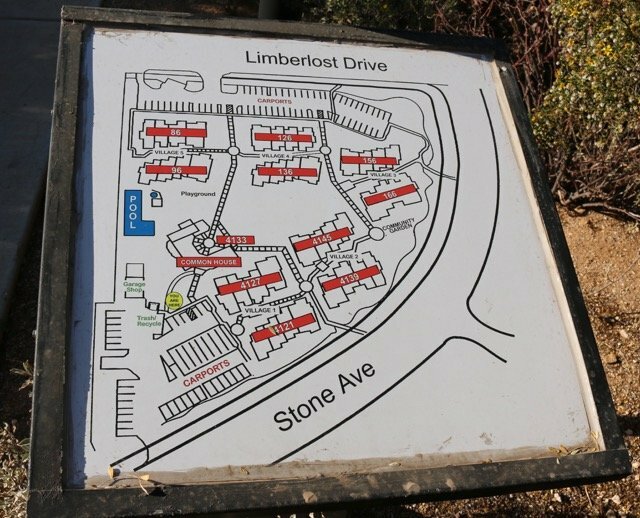 Like most cohousing neighborhoods, the idea of the community began long before construction ever starts. By bringing together people with shared intentions, the design, location, financing, and creation, all followed those early meetings that began back in the mid-1990s. Like the other two, Sonora is a multigenerational community. 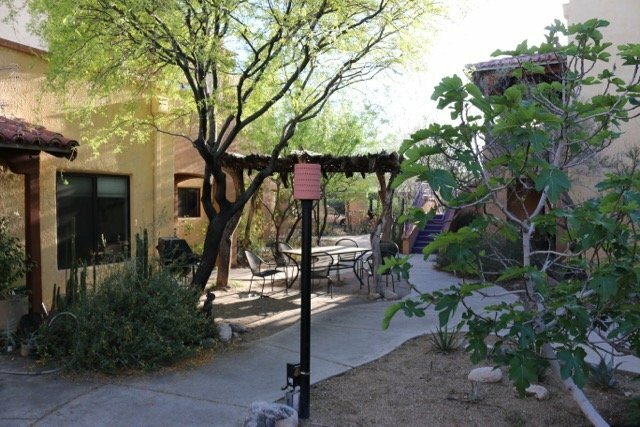 What is evident at both Sonora and Stone Curves is that families are both encouraged and supported. At both properties we witnessed children playing freely with one another in the open spaces and play areas provided. It is easy to imagine why a parent would be appreciative of a community where their children are given safe and fun areas to play and the ongoing interaction with other kids. As one mom said when we stopped to chat, if I need a break, I suggest they find their friends and play outside. There is always one or another mom ready to keep an eye on them. Clearly a huge benefit is that children play outside with each other rather than on video games or sitting blankly in front of a television. 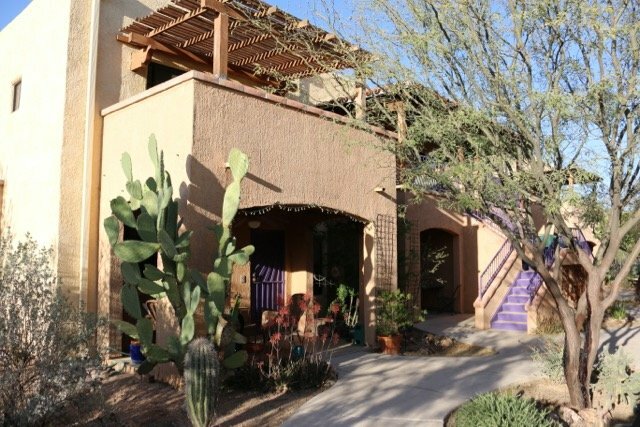 Many of the residences at Sonora are rows of both one and two-story homes with front porches leading out to the collective front gathering spaces. While the front porches invite interaction, all units have a private patio in the back. 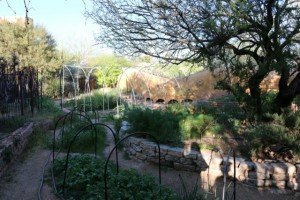 Martha made sure to tell us that the original residents of Sonora designed and built their Common House using straw-bale themselves. That building features a community kitchen and dining room, one guest room, craft room, children’s room, laundry and more. The property has a swimming pool, a community garden, a chicken run and a dog run. Activities include weekly dinners, weekly yoga instruction, book clubs and art classes. Much like Stone Curves, the close-in neighborhood is walkable to grocery, other shopping and University of Arizona at Tucson. Miles of bike trails connect it car-free to many areas of Tucson. 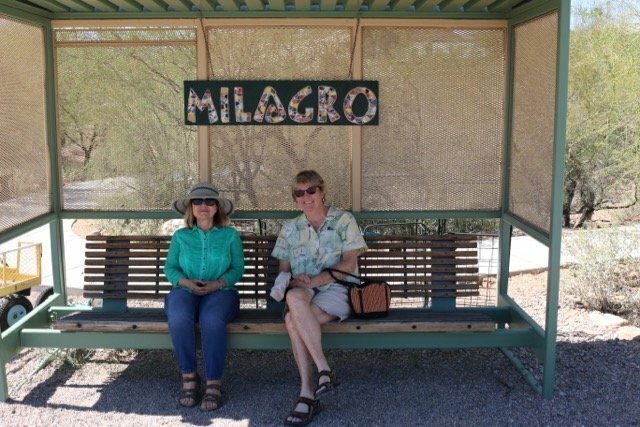 The final community we toured in Tucson was Milagro Cohousing. 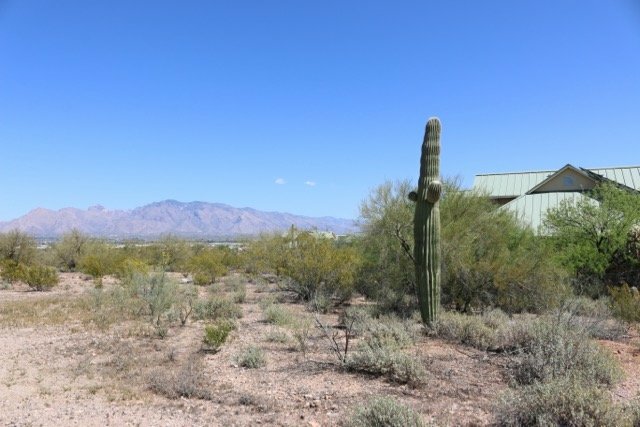 The 28 homes of Milagro were designed and completed in 2002 specifically to create a more rural and secluded community than the other two with a stronger emphasis on nature. 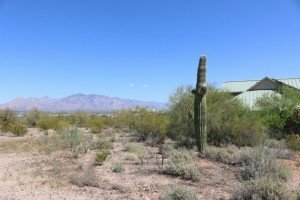 With a total of 43 acres owned by the community, the homes and community resources only occupy eight of those acres, leaving 35 acres of undisturbed open desert space. The homes and the 3,600 square foot Common House are built using adobe blocks and passive solar orientation. 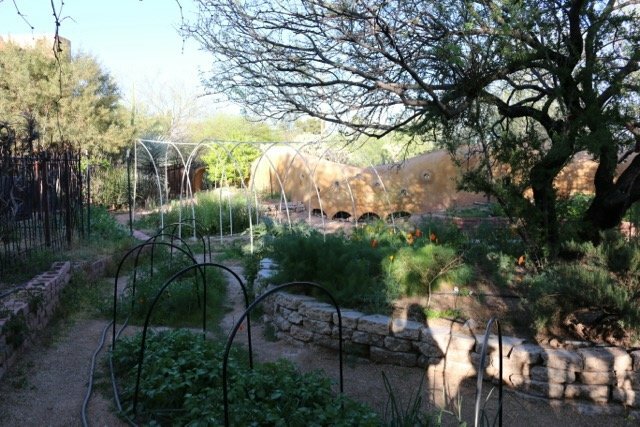 Natural landscaping, permaculture and other landscaping compatible with the environment are all evident. Of particular note is the private wetlands and wastewater recycling program that sustains the community. more rural than the other two, Milagro is only a few miles outside the main part of Tucson and 12 minutes by car to downtown. The expansive views and the peaceful and quiet setting are part of its charm. Potluck on our last evening at Stone Curves. After spending just two days touring these properties, we felt slightly overloaded with impressions, questions, and ideas. Then at the last minute, we were graciously invited to attend a potluck being held that night at Stone Curves for all three communities. 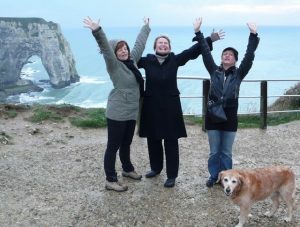 Although we had only spent an hour or so at each property, we were welcomed back in as old friends. Talking a mile a minute, eating piles of good food, and having a glass of wine (or two) while enjoying the beautiful balmy spring weather was pretty close to heaven. Are there challenges? Yes. An answer to the question we raised during every tour was that you can’t expect to get along with every person in your community. Instead, as one resident told us, it’s good to expect that you will be close to about one-third of your neighbors, be able to co-exist peacefully with another third, and just be polite and tolerant of the final third. But in a neighborhood where there are 100 people, ranging in age from 9 months to 93 years old, that both reasonable and desirable. Plus just, knowing that those 100 people share your values for most things and are willing to not only pay for them, but continually do the work to fulfill them, is another testimony. Also problematic is the co-management of the property and facilities. The majority of cohousing communities strive for consensus. But consensus takes time, patience and even training. Learning to get along, deep communication, sharing resources and ideas, and living peacefully and cooperatively is not something that most people strive for in typical neighborhoods. Cohousing residents live that way every day. It has become very common in our society to turn over responsibility for the things we say we want to experience in our lives. We go to a doctor and expect him to fix us in return for payment, we expect our schools to educate our children, and our government run things the way we think it should be run. A cohousing community instead asks us to get involved, take responsibility for the things we say we value, and participate, even when it is hard. However, the payoff seems to be the authentic and deeply connected values that so many of us crave. 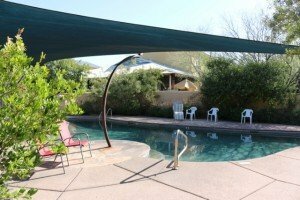 Are Thom and I moving to Tucson? Probably not. But the examples we witnessed there hold great attraction. For so many reasons community is important. Even more important is the reminder that it’s SMART to live your values. Note: The Cohousing Association of the U.S. is holding it’s annual conference May 20-21, 2016 in Salt Lake City. 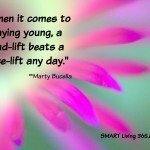 For more info go to Aging Better Together—The Power of Community. Is Cohousing The Best Solution To Aging Well? 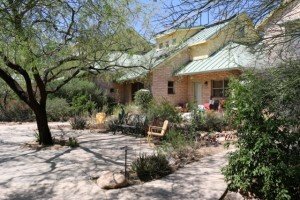 Is A Cohousing Community In Your Future? I watched a documentary about these types of communities not to long ago. I was fascinated in the way that they all pitched in and got things done. I don’t know if I could do it, but never say never. I’ve been such an island for so long I don’t know how I would react to “community”. I love learning about alternative housing options, what a fun read this morning! It was great to hear how honest people were about the challenges of building and maintaining a cohousing environment. It does sound awfully appealing. Great article, thank you so much for sharing your visit. So very interesting and appealing. Looking forward to learning more. What an interesting concept! I looked at the website to see if there was anything in Southern California but didn’t see many (not that I am surprised – they are mostly up north). 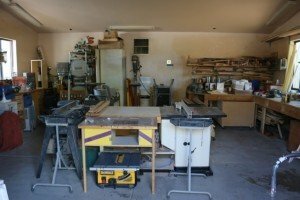 My husband would love the workshops! I would be thrilled with the gardens and community feel. 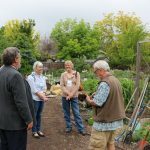 The website also listed many cohousing groups that are forming so it appears that a lot of people are embracing the concept. Mitch here, I live at Stone Curves. There are a few contractors, architects and financiers who deal solely with Co-Housing. Should you wish to pursue your thoughts on building your own Co-Housing, I would be glad to supply these contacts to you for further investigation! Interesting at first, but on further analysis it sounds like reinventingn the wheel with a few gimmicks. I imagine them being very expensive, too. This is just like life in an old fashion village or borgo. But, hey, just my humble opinion. Wow Kathy this is quite interesting. Extroverted, healthy people who are willing to interact and help could do well with the gardening, cooking, cleaning and sharing. Most of us crave some private space and it is great that the cohousing allows that. 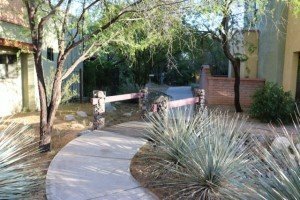 Do people buy in and then join something like an HOA? At Stone Curves (and other co-housings) we do pay a COA, which is akin to an HOA. Our fees are commensurate with HOA fees in the area. Our amenities are beyond those of a standard Condo facility though. NOTHING here has a charge for usage. Want to throw that party for 100 of your closest friends? No problem, just sign up for the date. Laundry facilities, no charge and the laundry provides grey water to our citrus groves. Ever have the relatives want to visit? So…We have three guest suites for visitor usage – again, no charge. Point of this? We can have outrageous amenities while having reasonable COA fees by providing the bulk of the maintenance, repair and upgrading of stuff ourselves. 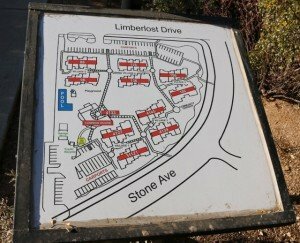 I’ve been looking at cohousing for years in Washington State, where we live. Haven’t found the right place yet. In the winter, we live in a 55+ community where people live in park models (trailers) or RVs. It has much the feel of a cohousing community, and we love it. What great information, Kathy. I have a group of close Labrador breeders, and we’ve talked about doing this for a decade! So the ins and outs of how these communities function is great info for me/us. I don’t know if we’ll ever actually get it done (lol), but we’re still talking about it! I’m going to send them all this link.